Activate your glow with Caudalie VineActiv, a skincare collection powered by anti-pollution technology. 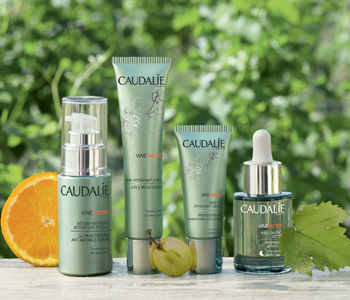 Designed for women with a fast-paced lifestyle, the Caudalie VineActiv range will strengthen the skin’s capacity for self-defence thanks to an anti-cell burnout complex, which activates natural cellular antioxidant defences for increased protection against oxidative stress. Caudalie VineActiv products will provide tired and damaged skin with the vitamins and antioxidants needed to completely revive the complexion.